Novotel Bangka is strategically located in Pangkalpinang within the beautiful Island of Bangka Belitung, 15 minutes drive from Depati Amir Airport and a short drive to the tropical and white sandy beach of Pasir Padi. The stylish Novotel Bangka Hotel & Convention Centre offers a truly comfortable and modern stay with spacious guest rooms, 1800 m² Grand Ballroom for wedding and conferences along with well-equipped meeting rooms and contemporary facilities. outdoor swimming pool & 15 minutes to city centre. A culinary blend of Asian and International cuisines, The Square presents a true feast inspired by recipes from all over the world. Located on the first level of the Novotel Bangka, this restaurant is stylishly decorated with a pleasing ambience. Treat you colleagues, family and friends to a night of endless classical tunes at the Ka Ra oKe. This hip Karaoke bar is a must for all music lovers. Snacks and fancy drinks available for consumption. Enjoy a selection of international beverages, cocktails and wines at Le Bar. 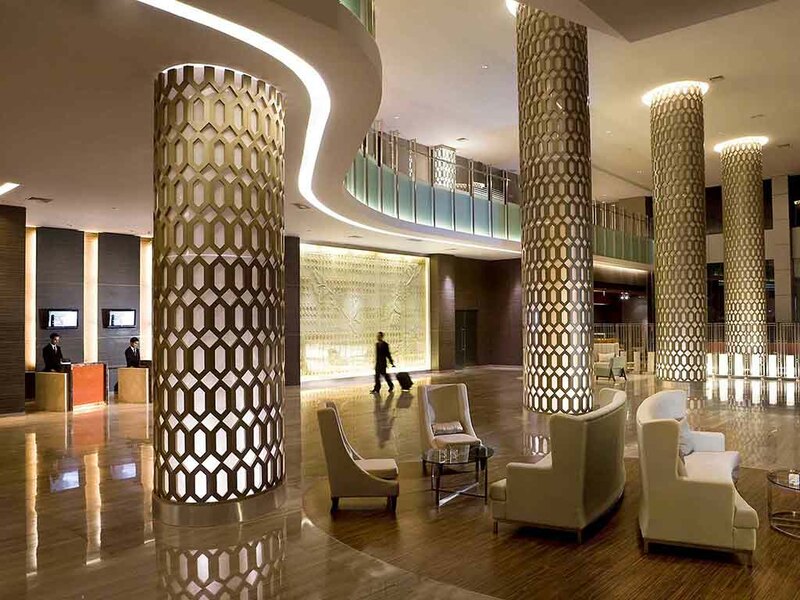 This Lobby bar is a great place to relax and unwind with business associates or friends.